Image credit: World UFO Day. For the benefit of readers not into these things, Project Blue Book was a systematic and scientific study of Unidentified Flying Objects (UFO) conducted by the United States Air Force starting in 1952. By the time the project was terminated in 1970, it had collected and studied a total of 12,618 UFO reports. This article focuses on nine cases of reported UFO sightings in the Philippines from 1949 to 1966 that were included among the files of Project Blue Book. There could be more, but these are just the cases that I have been able to locate. The Project Blue Book files are all declassified and are available to the public. The observation lasted for all of 20 minutes. Project Blue Book’s rather terse conclusion was that the object was a “Contrail.” The most puzzling UFOs are often described as capable of silent movement at great speed, but with no contrail. However, reports of UFOs and contrail together are not unknown, such as in a recent UK Express article. If the object observed by Sebilla was enemy jet aircraft, whose was it; and it is also worth mentioning that jet aircraft technology was still in relative infancy back in 1949. Camp O’Donnell was a Japanese prisoner of war camp near Capaz in Tarlac that was transferred to the US Air Force after liberation and became the home of the 3rd Tactical Electronic Warfare Training Squadron3. On 5 November 1957, military personnel reported a UFO about 10° west-southwest of the camp. According to the official report, the object was about six times the size of known stars, did not move in the sky and appeared to fade out. On 12 November of the same year, military personnel at Clark Air Force Base reported seeing a round object “viewed immediately from below” and approximately the “size of a grapefruit held at arm’s length.” The observer was unable to discern specific features of the object because its “light flickered on and off at intervals of about 4 seconds.” Its color appeared dark red when the light flickered off. The observer noticed that there were three other personnel pointing at the object. It was first sighted at an estimated altitude of 2,000 feet but quickly disappeared “at a high rate of speed” after climbing in an easterly direction. 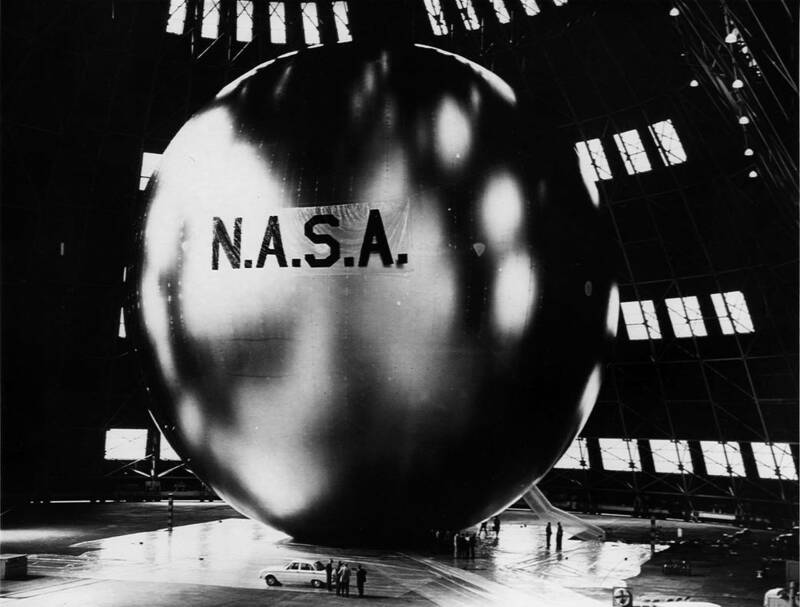 Project Blue Book’s conclusion was “description is typical of a balloon.” If at all it was a balloon that was observed, the likelihood was that it was the type used for weather analysis since your average party balloon will not look like a grapefruit held at arm’s length if observed from 2,000 feet away. Two UFO sightings were reported in 1957, one from Clark Air Base. Image credit: Dean Morgan, USAF. In February of 1962, maritime vessels off Luzon reported “a bright white moving object” and “one half the size and of the same magnitude as Betelgeuse.” Betelgeuse is in the constellation of Orion and is considered the ninth brightest star in the night sky4. The object was “observed for seven minutes when it disappeared into haze…” Project Blue Book noted that NASA’s Echo I communications satellite was at “12°N and 122.26°E heading southeast,” or exactly as the ships would have seen it as reported. A UFO sighting reported by ships off Luzon in 1962 was probably NASA's Echo I satellite. Image directly loaded from NASA. Sangley Point was again the source of a UFO report filed in February of 1964. The report described “a planet-like object of about first magnitude brilliance between pointers in Ursa Major traveling in an easterly orbit.” The object would subsequently disappear into the clouds. Project Blue Book concluded that although it could not reference Echo I’s schedule, the object observed must have been another satellite. Project Blue Book concluded that there was insufficient data to determine what the first sighting was; and said that the second sighting was of aircraft. The obvious question here relating to the second sighting is if it was of aircraft, why was no effort made to determine what these were? In 1965, UFO sightings were reported from the USS Hassayampa. Image directly loaded from USS Hassayampa AO-145. Finally, Project Blue Book has a file on a UFO sighting made on 29 June 1966 in what is now Ligao City in the Province of Albay. The file includes six negatives and one photo, the latter shown below. The file does not include any conclusions on the veracity of the sighting. The photo accompanying the Ligao UFO report in 1966. 1 “Project Blue Book,” Wikipedia. 2 Contrails are ice clouds formed behind aircrafts at very high altitudes. They are frequently associated with jet engines but in fact had been first observed as early as 1920 before jet engines were invented. “Contrail Science,” online at National Aeronautics and Space Administration. 6 In the nautical industry, the bridge is a room or a platform from which a ship can be commanded. “Bridge,” Wikipedia.